All my life (63 years now!) I had believed that my mother’s first husband, who I only knew as Jack Sweett, was killed on HMS Hood. My mother firmly believed this. However, I have very recently been in contact with one of the staff of the HMS Hood website and he assured me that Jack Sweett was certainly not on HMS Hood at the time of her sinking, but he very kindly managed to track down a likely sighting of him on HMS Dunedin in November 1941 in the form of John George Sweett. This does ring a bell, because I remember as a young child seeing a photograph or post card of HMS Dunedin in a drawer in my mother’s bedroom. It was faded and tatty, and obviously of great sentimental value; I then forgot about it for the next fifty odd years. Anyway, the facts as far as I know them are as follows. Jack Sweett was born in the Plymmouth area and worked as a secondary school teacher of technical drawing and workshop activities. 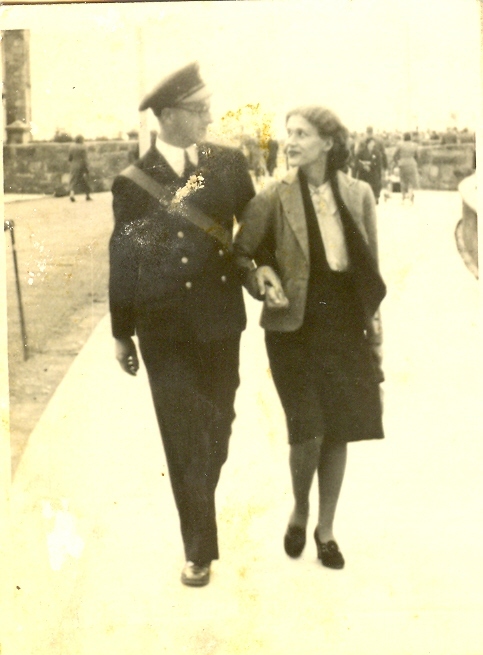 He met and married my mother in (I think) 1941 when she was in the WRNS in Plymouth and he was in the Royal Navy as a PO Writer. At the time of his marriage he was living with his parents at 36, Connaught Avenue, Mutley in Plymouth. Initially they moved to a Naval base at Ardrossan in Scotland, and after he was posted she moved back to Plymouth again. 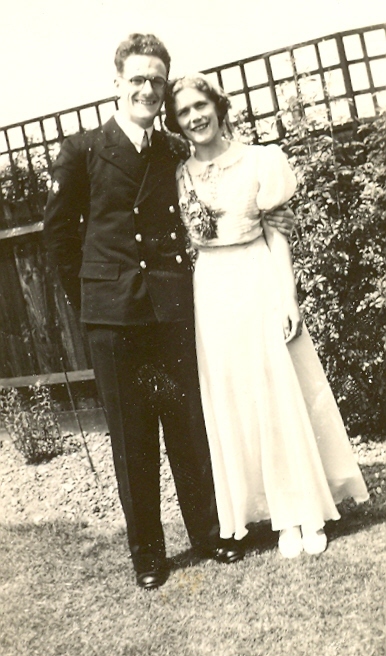 After she received notification of his death she subsequently met and married my father in October 1943 and I was born twelve month later. My mother and father remained on friendly terms with Jack’s parents and I knew them as Grandad and Grandma Sweett. They lived on a small-holding in the Tamar valley called Tuckermarsh, near to Bere Alston. Grandad Sweett worked in the Plymouth Dockyard all his life, and I believe Jack had one brother. I know my mother firmly believed all her life that Jack had died on HMS Hood, but bearing in mind the confusion and trauma prevailing at that time (not to mention the secrecy), I suspect she was either given misleading information or simply jumped to conclusions. Whatever the reason, I think it must be seen as a blessing that she thought what she did because the manner in which those poor seamen died when HMS Dunedin was sunk would have tormented her terribly. I spent eight years with P & O in the 1960s and I have seen what life and death at sea can be like.